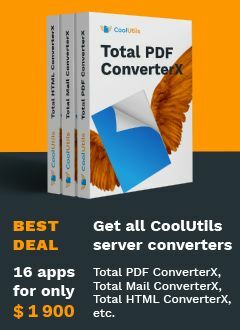 The Pro version combines PDF, Word, XLS, RTF, TXT, TIFF, JPEG files into one PDF. Each file can become a bookmark in the output PDF. The app can also create a clickable table of contents so that you could navigate your multi-page PDF easier. With PDF Combine X you can encrypt PDFs with a password and set user permissions. Add a text watermark to avoid unauthorized use of your documents. 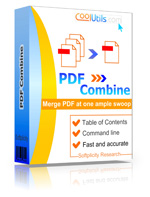 For legal professionals PDF Combine X offers bates stamping feature. You set the font, color and position of your stamp. Both sequential numbering and starting over with each folder is supported. Use our straightforward API with just a few lines of code to merge PDFs on the fly. We offer sample code for ASP, C++, PHP. The standard commercial license is good or 1 server; all employees of the company can use it. If you want to redistribute the app to your clients, please, apply for the royalty-free license.